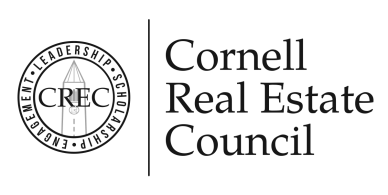 The Cornell Real Estate Council Tri-State Regional Chapter cordially invites you to our first event of 2019: Cutting Edge Innovation in Real Estate: Newcold. Featuring Russ Bernard, Founder and Managing Principal, Westport Capital Partners. Join Russ Bernard as he discusses the disruptive and successful growth strategy of Newcold, a rapidly-expanding provider of cold chain logistics. Don’t know what that is? Picture a vertical warehouse with mostly robotics inside delivering impressive efficiencies to the tenants. A unique blend of technology and real estate. Come learn more.